In Hungary during the 1930s there were many little publishing houses interested in several subgenres of popular fiction without beeing specialized in any specific one. 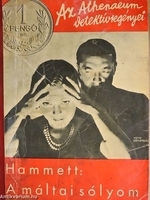 Two series played a major role in the translation of international crime novels. 1. Palladis 1 pengős regények published more than 200 titles in twelve years (1930–1942) more t2. 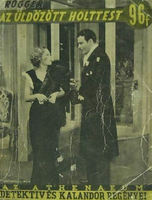 Athenaeum Detektív- és kalandorregényei published 50 titles in four years (1933–1937). 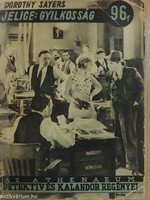 Amongst the translated authors: Agatha Christie, Earl Derr Biggers, Anthony Berkeley, John Dickson Carr, Mignon G. Eberhart, Erle Stanley Gardner, S. S. van Dine, Edgar Wallace, Mika Waltari, Arnaud Galopin, Dashiell Hammett, Dorothy Sayers. Louis Lucien Rogger is the pseudonyme of a Hungarian crime novel author, Lajos Aczél. He published eight novels between 1934 and 1937. The protagonist is a former burglar turned into a casual detective called Father Gomár. 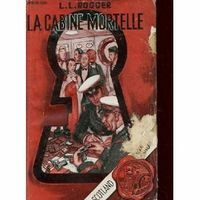 In 1936 one of his novels (La cabine mortelle in French translation) was turned into a movie, The Princess Comes Across directed by William K. Howard with Carole Lombard in the leading role.